Smartphone users can do “very little” to stop security services getting “total control” over their devices, US whistleblower Edward Snowden has said. 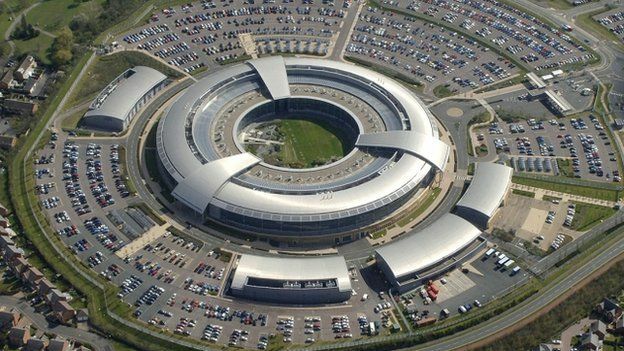 The former intelligence contractor told the BBC’s Panorama that UK intelligence agency GCHQ had the power to hack into phones without their owners’ knowledge. Mr Snowden said GCHQ could gain access to a handset by sending it an encrypted text message and use it for such things as taking pictures and listening in. The UK government declined to comment. Mr Snowden spoke to Panorama in Moscow, where he fled in 2013 after leaking to the media details of extensive internet and phone surveillance by his former employer, the US National Security Agency (NSA). He did not suggest that either GCHQ or the NSA were interested in mass-monitoring of citizens’ private communications but said both agencies had invested heavily in technology allowing them to hack smartphones. “They want to own your phone instead of you,” he said. Mr Snowden talked about GCHQ’s “Smurf Suite”, a collection of secret intercept capabilities individually named after the little blue imps of Belgian cartoon fame. “Dreamy Smurf is the power management tool which means turning your phone on and off without you knowing,” he said. “Nosey Smurf is the ‘hot mic’ tool. For example if it’s in your pocket, [GCHQ] can turn the microphone on and listen to everything that’s going on around you – even if your phone is switched off because they’ve got the other tools for turning it on. The contentious relationship between the British government and social media companies. The intelligence agencies and the police want the companies to co-operate in detecting terrorist content but the programme learns that not all companies are prepared to co-operate to the extent that the agencies would like. Documents leaked by Mr Snowden that appear to show that the UK government acquired vast amounts of communications data from inside Pakistan by secretly hacking into routers manufactured by the US company, Cisco. Mr Snowden also referred to a tool known as Paronoid Smurf. Once GCHQ had gained access to a user’s handset, Mr Snowden said the agency would be able to see “who you call, what you’ve texted, the things you’ve browsed, the list of your contacts, the places you’ve been, the wireless networks that your phone is associated with. “And they can do much more. They can photograph you”. Mr Snowden also explained that the SMS message sent by the agency to gain access to the phone would pass unnoticed by the handset’s owner. Describing the relationship between GCHQ and its US counterpart, he said: “GCHQ is to all intents and purposes a subsidiary of the NSA. The NSA is understood to have a similar programme to the Smurf Suite used by GCHQ on which it is reported to have spent $1bn in response to terrorists’ increasing use of smartphones. Mr Snowden said the agencies were targeting those suspected of involvement in terrorism or other serious crimes such as paedophilia “but to find out who those targets are they’ve got to collect mass data”. “They say, and in many cases this is true, that they’re not going to read your email, for example, but they can and if they did you would never know,” he said. In a statement, a spokesperson for the UK government said: “It is long-standing policy that we do not comment on intelligence matters. The government believes Mr Snowden has caused great damage to the intelligence agencies’ ability to counter threats to national security. Mr Snowden maintains he has acted in the public interest on the grounds that the surveillance activities revealed in the thousands of documents he leaked are carried out – in his words – “without our knowledge, without our consent and without any sort of democratic participation”. Watch Peter Taylor’s film: Edward Snowden, Spies and the Law on Panorama on BBC One on Monday, 5 October at 20:30 BST or catch up later online. Previous PostPrivacy groups hail ‘freedom from surveillance’ in European court’s Facebook rulingNext PostSnowden Willing to go to prison, waiting on answer from U.S.